Prior working at SS&A, Brian was Chief Operating Officer and Senior Portfolio Manager for Jonathan Smith & Co. in Greensboro. In his 14 years at Jsco, he gained experience in equity research, portfolio management, client care and operations. 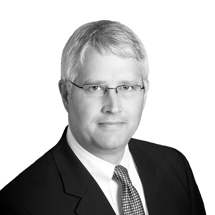 At SS&A, Brian’s primary focus is on portfolio management and compliance. Brian is the last of nine children and grew up in Hickory, North Carolina. His wife, Anna, is a third grade teacher at Caldwell Academy where one of his four children currently attend. Brian has a Bachelor of Science in Business Administration from Appalachian State University, and a Master of Divinity from Asbury Theological Seminary. Brian was part of the original team that formed Caldwell Academy of Greensboro, North Carolina, a K-12 classical Christian school. He has served as an Elder and former Chairman of the Elder Board of Grace Community Church where he and his family currently attend. Brian also actively supports Hope Academy, a private, non-denominational, Christian school for at risk children in the greater Glenwood neighborhood of Greensboro, NC. To contact Brian you can email him at brian@smith-salley.com.